Why Does Your County Hate America’s Veterans? 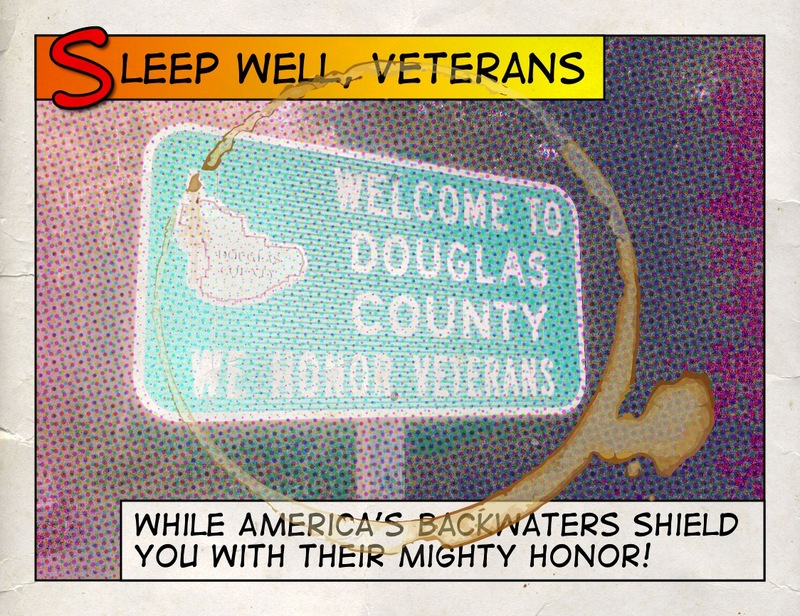 If your county didn’t hate veterans, it would find a way to tell the world. Some, like Oregon’s Douglas County, have found a way to do just that. For Their Brave Service, The Least We Can Offer Is Lip-Service. Some US counties are particularly rough on veterans. Lewis County in Washington State has been known to periodically round up its veterans and force them to fight to the death, gladiator-style. Blood-sports are a local favorite in that thrice-blighted hellhole, which is populated almost entirely by syphilitic knuckle-draggers. Or so we’ve heard. ∞T.